Rising numbers of UK pension savers will find themselves facing a charge of up to 55% on their retirement pots after breaching the lifetime allowance (LTA). This is because successive governments have chipped away at the figure since 2010, reducing it from £1.8m to just £1m in 2016/17. 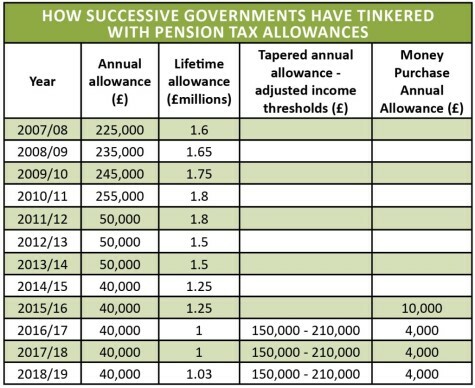 From this tax year the LTA has been pegged to inflation, meaning savers enjoyed a £30,000 increase in the allowance – the first time it has risen since 2010/11. The lifetime allowance is ‘tested’ when you take money out of your pension, whether in a defined benefit (DB) scheme, through drawdown, taking an ad-hoc lump sum or purchasing an annuity. This is known in the jargon as a ‘crystallisation event’. For example, if you have a pot worth £1m and you buy an annuity with £300,000 of it, you have used up £300,000 of your lifetime allowance. Any money that remains within your pension fund will be also be tested against the lifetime allowance at age 75. If you go over the lifetime allowance you have two options – to take the money as a lump sum and pay a 55% tax charge, or leave it in the pension and pay a 25% charge. You will also pay income tax on any excess left in your pension when you eventually withdraw it. It’s worth noting that if you have taken out ‘protection’ on your fund you might have locked into a lifetime allowance of more than £1.03m. There are some circumstances where it might make sense to breach the lifetime allowance. The most obvious case would be where you are receiving a matched contribution from your employer – effectively a 100% bonus on your savings. 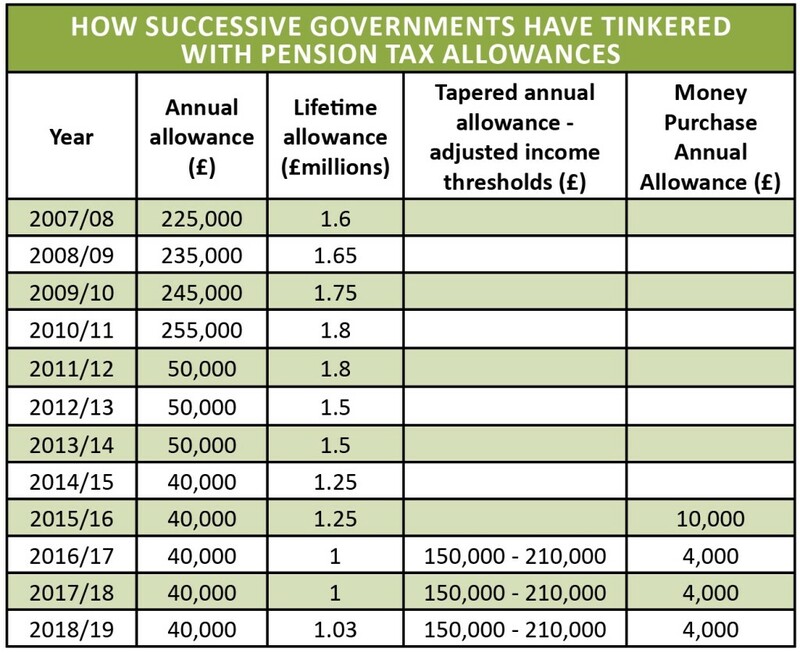 Even with the lifetime allowance penalty you are still likely to be better off in your workplace pension (although if you have lifetime allowance protection make sure this isn’t voided by making extra contributions). It also might be worth paying in above your lifetime allowance if your priority is passing on unused funds to the next generation. If you die before age 75 and your pension is untouched then the 25% charge will apply to the excess, with the rest paid tax-free to your nominated beneficiaries. If you live beyond age 75 then the 25% charge will be taken on your 75th birthday, with growth thereafter exempt from any further test, although income tax will be payable at the beneficiaries’ marginal rate. The lifetime allowance is a devilishly complicated bit of the pension system to calculate, so if you’re at all unsure it’s worth speaking to a regulated financial adviser.